Wire is used to carry electrical current from the power source to your electric appliances and may have traveled hundreds of miles in the process. Initially the electricity is carried through extremely thick cables, but gradually the cables get smaller as the electricity is disseminated to thousands of places. Using the correct type of electrical wiring ensures electricity is delivered safely and doesn't get hot. 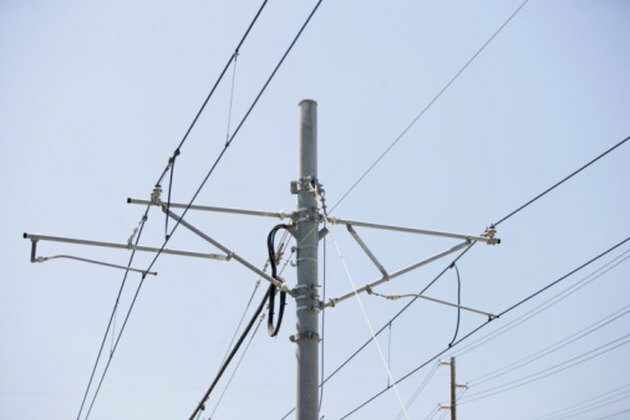 Electric wires are designed for specific purposes. Your home electricity supply is about 110 volts and remains constant, whatever device it's going to. However, electrical items need different amount of energy to operate, which is known as the current or ampere draw. For example, a table lamp uses less than 3 amperes, but a washing machine may use in excess of 10 amperes. This makes it essential that the correct wire gauge is used. If the ampere draw from your device exceeds the ampere draw your wire is designed to handle, the current has difficulty getting through the wire causing pressure to build up. This is known as wire resistance and results in your wire getting hot to the touch. 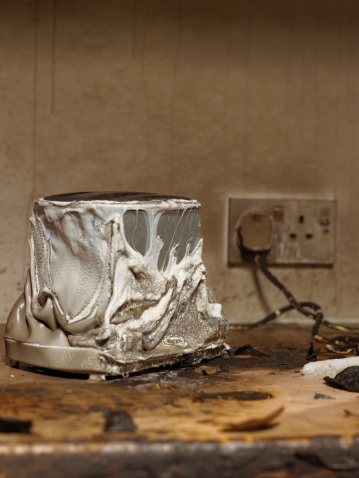 It's potentially dangerous, as an overheated wire can melt the external plastic and may catch fire. If you were to open a transformer, you would find two sets of tightly coiled wires, one inside the other, but insulated from each other. The resistance caused by the outer coiled wire creates heat and magnetism. Electrical energy passes from the outer coil to the inner coil and in doing so the voltage reduces. If you roll up wire into a coil, such as an extension lead and then plug in an appliance, you will find the wire starts to get hot to the touch. This is because of the resistance and magnetic field produced by the electricity passing through the coiled wire. The force of electricity flowing through wires is powerful enough to jump from one wire to another if they are close enough. The higher the voltage, the more the electricity can jump. For example, if you put a positive battery clamp from a battery charger near the positive terminal of your battery, you will find that it sparks. This is electrical current jumping from the clamp to the battery terminal, even though they are not touching each other. The same happens if a wired connection breaks. If the wires are close to each other, the electrical energy jumps and sparks are produced. If you touch the wire a few inches from the end you will find it's hot to the touch. Many electrical appliances are intentionally designed for the internal wires to get hot; examples include an iron, heater, hairdryer and even light bulbs. This is caused by the positive and negative wires touching other. The thickness of the wire determines how hot it gets. You have probably seen the element in an electric heating glowing red so it produces heat. If the energy isn't controlled, the wire turns orange and then white and eventually melts. The wire inside a light bulb is identical, except it's a sealed unit that contains a gas which stops the wire melting. An easy experiment to safely make a wire hot is to use a transformer and connect a bare wire between the two output terminals. Turn on the transformer and watch the wire. It will get warm and may get hot, depending on the thickness of the wire.